Heart attacks can scare anyone into making drastic life changes. Former President Bill Clinton had just such a life-changing event in 2004. Following a heart attack, quadruple bypass surgery and the implantation of two stents, he changed his diet in the most profound way. The president who became famous for his fondness for fast food burgers became a follower of the Esselstyn Diet. That meant no meat, no fish, no dairy, and no oils of any kind. Can this make anyone "heart attack proof" as the doctor claims? Dr. Caldwell Esselstyn Jr. believes that his diet can make anyone heart attack proof. Based on the diets of rural Chinese, central Africans and the Papua New Guinea highlanders, his diet treats heart disease like a food borne illness. By avoiding the "carriers" of the illness, we can avoid the illness of heart attacks altogether. Dr. Esselstyn, of the Cleveland Clinic, says that eating a single forkful of fat causes cellular changes in the lining of the arteries. The white blood cells attack the cholesterol from the fat and leave behind fatty deposits on the artery walls. Over time, this can lead to a heart attack. So no fat equals no arterial buildup and, therefore, no heart attack. Simple enough, right? This is not a diet for anyone who is not absolutely committed. The doctor says that complete adherence to the diet is essential. There can be no "splurges" or "weekends off" from the diet, you must go completely vegan and oil free and stay that way for this heart attack immunization to work. There are testimonials from people who have been diagnosed with narrowing of the heart arteries that claim complete reversal of their diagnosis several years after adopting the Esselstyn diet, but there are no clinical trials that provide objective scientific proof. So is this a fair trade? Give up meat, fish, dairy and oils for a life free from the risk of heart attack? Can you embrace the vegan lifestyle, without any backsliding? If so, the Esselstyn diet may be for you! Do you need a diet buddy? 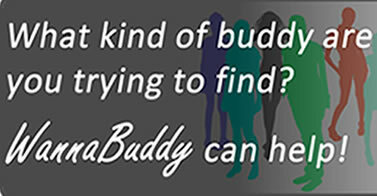 Check out WannaBuddy.com to find a local diet buddy to help you stay committed and on track.